Gerster produces and develops high end trimming collections for partner companies in the upscale interior design market! 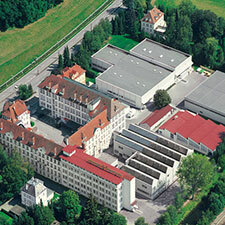 Gustav Gerster, the Biberach based textile company, celebrated its 125th anniversary in 2007. Founded in 1882 the company has lived through the turbulent ups and downs of Germany's history and today, despite the current world financial situation, Gerster has a strong, healthy business footing. Starting as a small textile trimmings company, Gerster is now the largest trimmings, tieback and tassel producer in Germany. As a leading trim manufacturer since 1882 we have a long history of striving for excellence. Nowadays we are a well known supplier to international wholesalers, renowned furniture manufacturers, manufacturers of cushions, decorative textiles and outdoor furniture makers. We span an immensely wide range of production techniques, such as twisting, braiding, weaving, embroidery and crocheting and have continually invested in the latest up to date machinery and an extensive yarn stock to broaden our possibilities and ensure constant, reliable quality. Today, we are able to deliver specially tailored products, like cords, cut-, tassel- or bullion fringes, braids, woven and embroidered tapes with a minimum of only 100 – 200 m, yet as a sizable, modern company, we are also happy to produce large volumes in time, even with short notice. At our location in Germany we produce all components under the stringest of rules, understanding that our customers expect the extra benefit from a product „Made in Germany“. All required manual assembly of our components is done by the skilled and through the years highly trained personnel at our site in Poland to ensure we can doubtlessly meet requested price points. It has been our strategic focus to maintain and improve upon our definately unique and wide variety of production techniques. 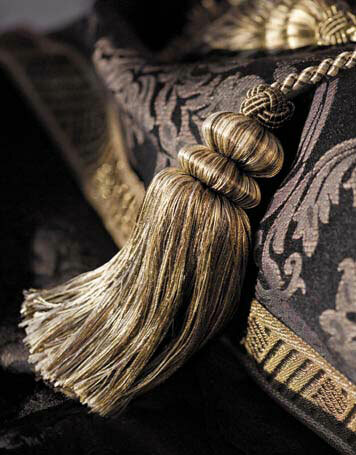 With more than 130 years of expertise and knowledge of producing and delivering tailor made solutions to the home textiles trade and upholstery manufacturers we welcome any design request and will gladly develop trimmings, decorative or upholstery cords, fringes of any kind, woven and embroidered tapes, braids, cords, tassels and tie-backs to your liking. Our intention is not solely to guard our rich heritage, but to also excel in the development of new products, product applications and current and future trends. Product development is continuous, we welcome any challenge. With thousands of products in our archives it goes without saying we strive for more. Please feel free to contact us. We will gladly submit product suggestions as well as pictures or send original samples or, at best, take the opportunity to visit your esteemed company and talk in person. 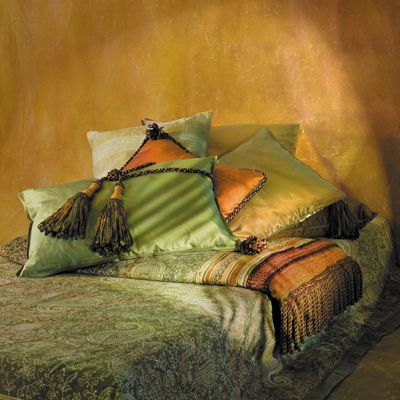 Be it powerful with the elegance of the style of One Thousand and One Nights or restrained, trimmings and tassels provide decisive accents and ideally underline the noble quality of the fabrics. With 125 years of experience and familiarity with the desings of the world, Gerster is characterized by an almost unlimited variety of designs and materials. Be inspired by our highly developped and successful collection. Our sales team is looking forward to welcome you! Don't forget: The complete product range is available from stock and can be ordered in small quantities! Known under the label „Gerster Finest German Trimmings“ we produce and develop high end trimming collections for partner companies in the upscale interior design market. 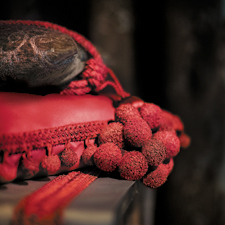 Those products are characterized by our over 125 years of experience and our passion for every detail in the process of creation of fine passementerie. Our commitment stands today as it was: Design down to the last detail, outstanding quality and an always friendly and fast customer service. With a machinery that is unrivaled in Europe, our extensive know-how and an abundance of raw materials and color options the company Gerster is set up perfectly for custom-made products in the field of textile accessories. 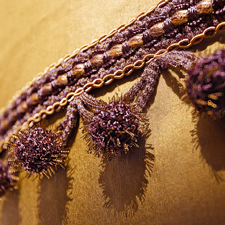 Whether you are looking for a full exclusive trimming range or a key tassel made to your individual specifications: Our design and production departments are looking forward to hear from you!